As you probably know, the McKenzie River Footage surfaced this past August. This footage showed what appeared to be a large, dark, upright figure clearly walking on two legs with swinging arms. Not knowing what was depicted in the video, a friend of the videographer reported the film to the BFRO. 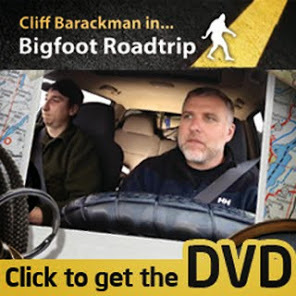 As luck would have it, when the report came in I happened to be in Pennsylvania on a bigfooting trip with BFRO founder, Matt Moneymaker. Matt asked if I'd like to look into it for him. On September 11, 2010, I went down to the McKenzie River with some friends to do my version of an on-site investigation. My conclusions have been posted elsewhere on this blog, but I thought you might enjoy watching some video footage from that day.